Artemis is an Amazonian moon-goddess who was known as a fierce hunter as well as a protector, and one of the main Goddesses in Greek mythology. She is called the "Mother of All Creatures," "The Mistress of the Wild Beasts," "The Huntress," and the "Goddess of the Night." 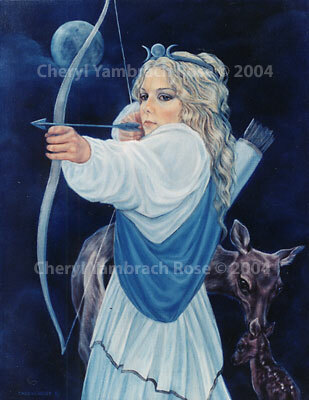 Artemis is the personification of the moon, and the Goddess of fruitfulness, fertility, and childbirth. She is also, contradictorily, the eternal virgin. As a huntress, depicted here by Cheyrl Rose, Artemis lead the eternal hunt, and travelled in the company of dogs, wild beasts, and mountain nymphs. Her priestesses wore the masks of hunting dogs. In Sparta, her name was Artamis, which means "Cutter" or "Butcher." She was also called Tauropolos, "Bull-Slayer." 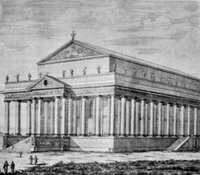 Artemis was worshipped at Ephesus, a classical city located in Turkey. 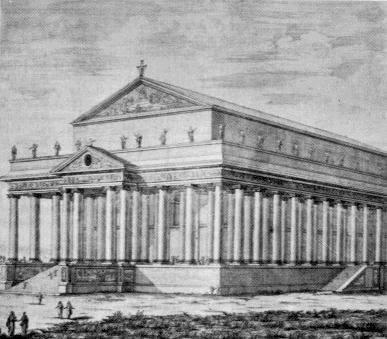 There, a sanctuary was dedicated to her and a temple built that was regarded as one of the Seven Wonders of the World. 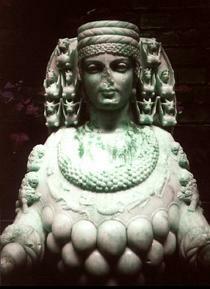 Her image at Ephesus had a torso covered with breasts, to show that she nurtured all living things. In Greek mythology, Artemis was the daughter of Zeus and Leto (daughter of the Titans Phoebe and Coeus), and the twin sister of the God Apollo, who was her sometimes consort. Artemis was one of the few goddesses immune to the enchantments of Aphrodite. Greek myth paints her as fiercely protective of her chastity. In one story, Artemis is said to have brought about the death of the Horned God Actaeon, another hunter. One day, while Actaeon was hunting with his dogs, he came across the Goddess Artemis and her nymphs bathing naked in a stream. Allegedly, the Goddess turned him into a stag out of a sense of offended modesty, and Actaeon's dogs, no longer recognizing him, tore him to pieces. In other interpretions of the story of Artemis and Actaeon, Actaeon dies, not as a result of the Goddess's offended modesty, but as part of a ritual fertility sacrifice to the Goddess. Actaeon represents the pre-Hellenic stag king, who reigned over the sacred hunt for half a year before being torn to pieces and replaced by his co-king, another man doomed to die. According to Barbara K. Walker in The Woman's Encyclopedia of Myths and Secrets, in the first century A.D., Artemis's priestesses still pursued and killed a man dressed like a stag on the Goddess's mountain. 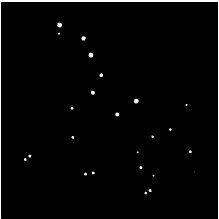 One of Artemis's most popular animal incarnations was the Great She-Bear, Ursa Major, ruler of the stars and protectress of the axis mundi, Pole of the World. She was later canonized as a Christian saint, Ursala, derived from her Saxon name Ursel, the She-Bear.